Can you feel it? Things just got a whole lot more exciting in the fan film world when STAR TREK: FIRST FRONTIER released its latest trailer earlier on today. What makes this new fan production so exciting? Where do I begin??? It’s a fan film about the very first commander of the USS Enterprise NCC-1701, Captain Robert April, and his crew on their maiden voyage of exploration. It’s a fan film that has custom-built sets in the finest traditions of fan series like Star Trek: New Voyages and Star Trek Continues. Likewise, the costumes look amazing. They are very similar to Pike-era uniforms, and the attention to detail and continuity is wonderfully impressive. It’s using actual Screen Actors Guild actors (not that fan films without professional actors can’t be exciting, too, mind you!). And who is this self-financing super-fan with the meticulous attention to detail? Born in Florida and still living there today, KENNY SMITH is a convention promoter who is also a U.S. Army veteran who fought in Operations Desert Shield and Desert Storm. But how did those long roads lead him from there to here, making one of the most intriguing, costliest, and intricately produced fan films to come along in quite a while? By now, you’ve probably figured out that I interviewed Kenny and asked that very thing, right? JONATHAN – I like to start off my interviews, Kenny, by asking about the long road getting from there to here. Where did your road to making a Star Trek fan film first begin? 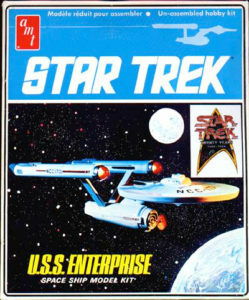 KENNY – My first memory of Star Trek is my father telling me that I “didn’t need” a Star Trek utility belt toy I saw on the shelf at Eckerd’s Drug Store. That had to be 1975. In 1977, my father took my brothers and me to see Star Wars. I was mesmerized, as most were. My father fell asleep, as he often did in movies, so when it ended, we let him sleep through the credits and the start of the next showing…allowing us to see it twice! That was the last movie I saw with my dad. He died a few months later. The gift that Star Wars gave my brothers and me, and indirectly my mom, was that it gave us something to think about other than his death. Anyone who was alive then knows that Star Wars ruled the Earth. Every piece of merchandise seemed to be licensed Star Wars. The toys were released in waves, and then the two sequels were spaced out three years apart, creating brand new merchandise. The result was that Star Wars grew with us and shielded us from a bit of the grief that we would have suffered. JONATHAN – So you were actually a fan of that “other” Star franchise, huh? KENNY – Star Trek was always around during those times, and I watched it as a kid. My favorite toys were the Mego Star Trek 8″ action figures and bridge playset. But Star Trek didn’t take hold of 99% of my attention until 1983, when I met my ‘still to this day’ best friend, Harlee Stafford. Harlee was riding the bus to my new school, I needed to find a seat, and I saw a drawing of the Star Trek: The Motion Picture refit Enterprise taped to his folder. From that day on, Star Trek dominated every thought I had. It aired on our local channel 44 every day at 5pm. Harlee would usually be at my house by then, and we would watch together. We didn’t know how many episodes existed, so we started writing the titles each day. In 1985, I met my first celebrity, George Takei, who was doing a video-signing in Auburndale, Florida. 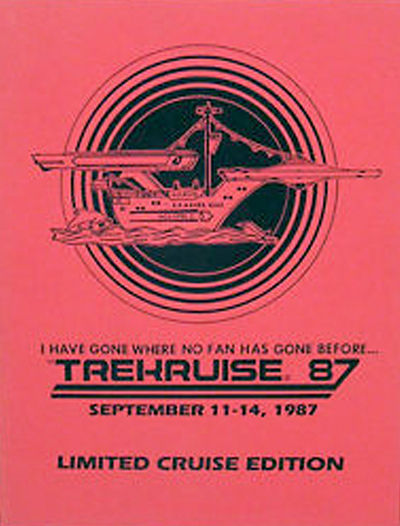 The same year, I attended my first Star Trek convention, Trekon ’85 with Robin Curtis, in Tampa, Florida. JONATHAN – Now that’s more like it! Not that my readers don’t like Star Wars, but you’re making a frickin’ Star TREK fan film, dude! So when did you go from being just another fan boy to an actual convention promoter? 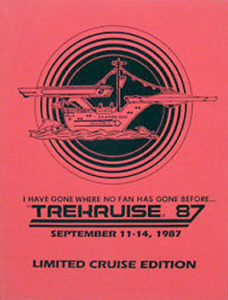 KENNY – The pivotal point in my life, that quantum moment that changed everything, was in 1987 when I saw an ad in Starlog Magazine for the first ever “Star Trek Cruise” called Trekruise ’87. It was with the stars. My mom, who was working two jobs, sold our house and used some of the money to take my little brother and me on this cruise. It was on this cruise that I met Joe Motes, the promoter of the cruise and also the promoter of land based Star Trek conventions. I was inseparable from Joe from then on…still to this day. Because of his friendship, I was able to explore the other side of Star Trek, the behind-the-scenes side, and have an intimate relationship with Star Trek that most could only have dreamed of. I became Joe’s partner in 1988 for my first convention as a Promoter with DeForest Kelley as our headliner. I was seventeen years old. Our second convention was supposed to have the new captain of the Enterprise, Patrick Stewart, for his first TNG convention, but he had to cancel and we replaced him with Jonathon Frakes! One memorable moment that stands out to me is picking up De Kelley and his wife Carolyn at the airport and spending the weekend with them. They never had children, so they bonded with young people very well. I believe I was adopted at some point by them that weekend! A second memory is from the 1987 Star Trek cruise where I was George Takei’s snorkeling partner in the Bahamas. I have a picture of this. I have worked with and hired most all of the Star Trek actors including William Shatner, Leonard Nimoy, DeForest Kelley, Jimmy Doohan, George Takei, Walter Koenig, Nichelle Nichols, Grace Lee Whitney, Majel Barrett, Robin Curtis and even Gene Roddenberry. JONATHAN – So you’ve been doing convention promoting non-stop for 30 years? KENNY – Not non-stop. From 1989 to 1992, I was in the United States Army and I fought in both Deserts Shield and Storm. But Star Trek never left my heart. I was constantly building the AMT USS Enterprise model or watching TNG episodes that my mom would send to us in Germany. Words cannot describe the torture my friends and I felt when “The Best of Both Worlds” said “To be continued…” We were in Germany, so it was going to be a year at least! Then from 1992 to 1997, I supported my family in retail, working at Spencer Gifts. In 1996, for the 30th anniversary of Star Trek, Paramount hosted an official convention called “One Weekend on Earth” in Hunstsville, Alabama. Spencer’s was chosen as the only retailer for the dealer’s room, and I was able to be one of 30 store managers from around the US to build and manage the convention store. It was on the stage on Saturday Night that the final appearance of the original crew, including a touching tribute to Gene, took place. Shatner, Nimoy, Kelley, Nichols, Doohan, Koenig, Barrett, and Takei all on stage together for the final time. It was very special. I currently Promote EyeCon Conventions with a One Tree Hill themed event as well as a future Grey’s Anatomy event. JONATHAN – Wow…that’s quite a life! And we haven’t even gotten to First Frontier yet! So what made you decide to produce your own fan film? 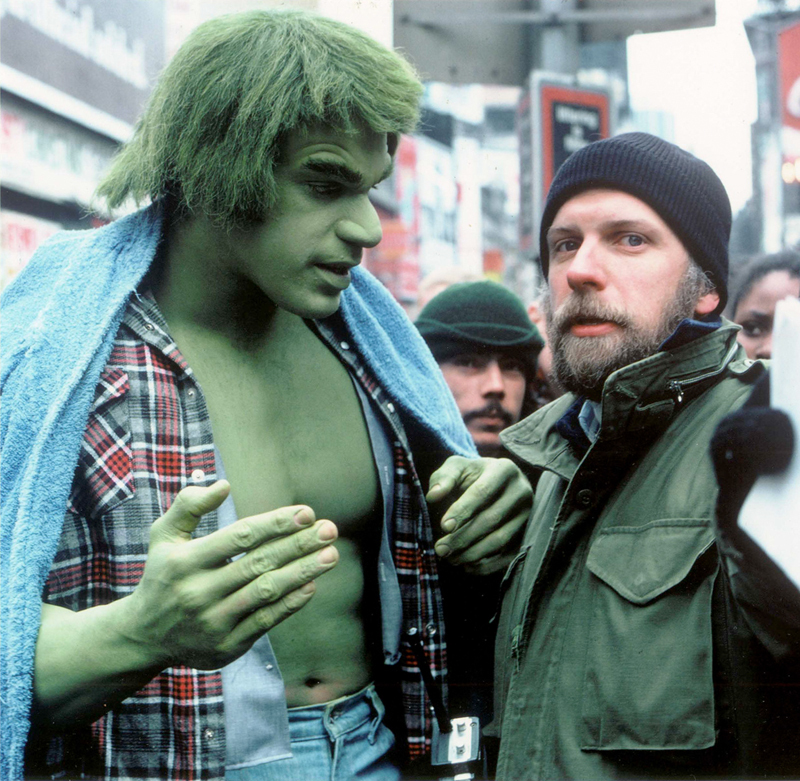 Kenneth Johnson (right) with The Incredible Hulk, Lou Ferrigno. KENNY – From 1997 to 2001, I attended college, eventually taking a film class with Kenneth Johnson, the creator of V, The Bionic Woman, Alien Nation and The Incredible Hulk series. It was around 2000 or 2001 that I saw a fan film for Star Trek. I cant remember which one, but I remember being jealous. They did an amazing job with what they had, they had built a wall panel in a hallway as a practical set piece. That was the catalyst for Star Trek: First Frontier. I knew I could do it better, I just didn’t know how. JONATHAN – What aspect of film-making attracted you the most? KENNY – I always wanted to direct films. But I knew that Hollywood wasn’t the way to go. Too many people all trying for the same thing and in the same way. So I decided to use a back door method which ultimately worked. I started a Celebrity Autograph Convention company called Bionicon in 2006, and my headliner was [Bionic Woman star] Lindsay Wagner. Bionicon was a Six Million Dollar Man/Bionic Woman themed event. I promoted a second Bionicon in 2007 and then decided to open the door to more current fandoms. I renamed the company “EyeCon” and in 2008, hosted my first convention, which was based on the show Supernatural. My plan for starting the business was to use it as a stepping stone for meeting actors, agents, and producers…as well as fellow directors. It was at one of my Vampire Diaries themed events that I met and talked with one of the actors who was on Vampire Diaries and a guest at my convention named Robert Pralgo, who would eventually play Robert April. 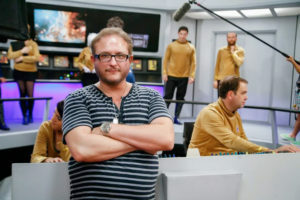 Through him I met Zeke Flatten, his business partner, and after one small meeting and showing Zeke the animated Star Trek episode “The Counter-Clock Incident,” he decided to produce Star Trek:First Frontier. Zeke wasn’t a Star Trek fan. He has a production company near Atlanta, and he liked the idea of telling a story that had never been told in Star Trek. He also liked the idea of producing a science-fiction film, since he had never done one before. Once Zeke was involved, and my company had gotten to the level of success I needed it to be at, my attention was able to return to Star Trek: First Frontier. That meeting couldn’t have been better timed. Our conventions at the time were in Atlanta, Georgia, which has become the center of film-making, as many exodus away from Hollywood. Zeke had every tool at his disposal to make this film, the most important of which was experience and professionalism. So in 2014, I began rewriting the script I had written 10 years earlier. It had flaws that needed fixing, and over the course of the next year, we fixed them. JONATHAN – You were carrying around your script for ten years??? Had you done any work on turning it into a fan film during that time? 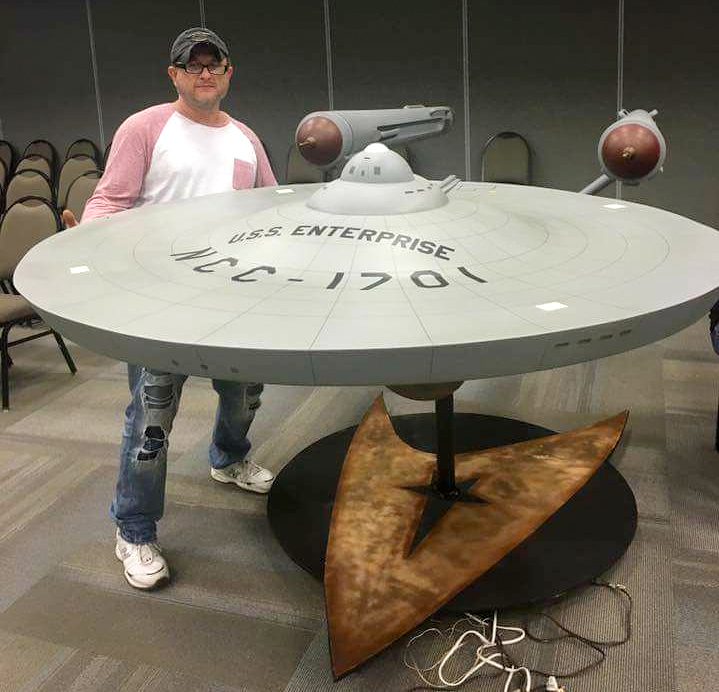 JONATHAN – Without a doubt, one of the most intriguing and exciting elements of your fan production is an amazing 11-foot model of the USS Enterprise NCC-1701. Now, if someone wants to built an elaborate super-size model of the Enterprise, I’m certainly not gonna stop ’em! But computer-generated effects can look very nice, too…and they cost a LOT less. So why the super-model? Kenny Smith with the ultimate in Star Trek collectibles! KENNY – I am not a fan of CG. Although I love the idea of it being used to “finish” a scene, or touch it up, I believe that the overuse of CG is the number one killer of verisimilitude in a movie. There’s simply no way around it for me; if I see a car crash that looks fake, I lose trust in the film immediately. That being said, CG has come a long way, and I do have fond memories of The Last Starfighter and my second favorite television series, Babylon 5. But for the most part in movies, it’s never close enough to reality for me. I’ve made the joke recently that I would never CG in William Shatner or Leonard Nimoy and try to pass them off as the originals, so I won’t do it with the Enterprise either. The new “remastered” versions look worse to me than the original footage. I have thought to myself often that I wish they had simply restored the ORIGINAL from the Smithsonian and did re-shoots of the original footage. That would have been an homage to the ship, but alas, they used cheap CG effects. Enterprise is the most important character in Star Trek to me. “Treat her like a lady, and she will always bring you home.” I decided that I would treat her exactly like a lady and create an 11 foot shooting miniature. I call it the “pre-pilot” Enterprise, dating at least 5 years before Pike took command. It took a year’s labor by my two friends Matt Green (who I often call “Matt Jeffries”) and Scott Lyttle (who we call “Mr. Scott”). And we now have a beautiful, fully lit NCC-1701 Constitution-class starship that we have completed principal photography on. “Mr. Scott” Lyttle works on construction of the 11-foot long USS Enterprise model for First Frontier. 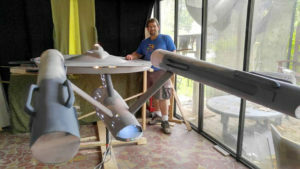 Construction on the Enterprise was slightly delayed because a producer from the movie Hidden Figures saw Matt and Scott’s Enterprise at Dragoncon and hired them to build the Mercury capsule used in the movie! They got that job because of the Enterprise! They also built a space dock to go around the ship using some of the leftover plastics from the Mercury capsule, so Hidden Figures and Star Trek: First Frontier have a major connection! 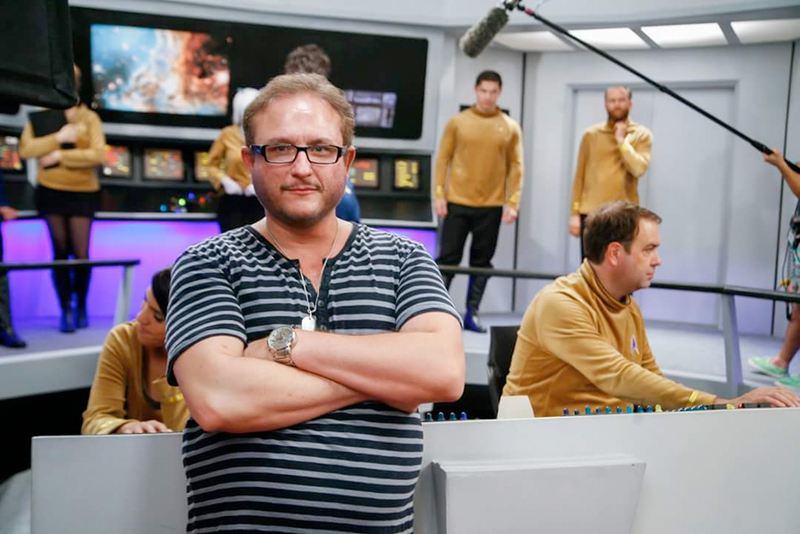 The footage of the miniature is now in the hands of our visual effects supervisor, Lee Stringer, who is probably best known as the creator of Serenity for Firefly and Galactica for BSG. He also worked on the Star Trek: The Motion Picture director’s cut and on Voyager. I have seen the footage and it is beyond my wildest dreams. We have angles and close-ups of the ORIGINAL Enterprise never seen before. It’s something exciting. JONATHAN – Honestly, Kenny, I am totally psyched to see those visual effects! And I’m also psyched to see your practical (physical) sets. Your bridge looks incredible. What other sets did you build? 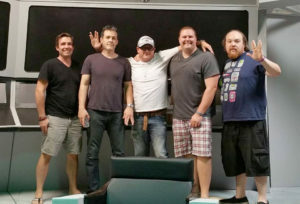 Next time, we dive deeper into the sets, the decision to use SAG actors, and why Kenny opted to forego crowd-funding and finance the entire production himself. Also we ask the question that has to be asked: will Star Trek: First Frontier be complying with the fan film guidelines…and if not, why? An amazing story and an amazing Enterprise model! Looks interesting cant wait to see the full release… Not to be a buzz kill but there is one scene where he looks like he is drinking alcohol which violates guideline 7 which i think it needs some correction because if its shown in movies and tv trek(I.E Quarks Bar) then it should be able to be shown in fan films. Guideline 7 isn’t as bad as you think it is. See the next installment of my reality check for more on that, Chris. This was totally excellent!!! I was very excited about the video of the Enterprise in particular!!! It was excellent! I felt like I was watching TOS for the first time when I was ten years old. My two nitpicks are I thought Captain April was British and the guy commanding the ship during the battle scene looks like a hippie!!! [I wish I could post a screenshot] He’s a Starfleet officer in an era predating Captain Pike! Give him a haircut! Otherwise, this was totally excellent and I can’t wait to see the completed film. Just the music alone gave me goosebumps! Not to mention the scenes. I’m totally excited, and can’t wait for them to finish. Love the realism of the model. It does make a difference. Just want to say thanks to all who are putting so much time and effort into this project. So far, I’m liking what I’m seeing! Like Ultrawoman, I’m concerned about the guy with the beard and Larry Fine haircut – so out of place! I will, however, reserve judgement until I see the final product. Yeah, you’ll dis over the real-world reason for the hair in three and a half more days. D’oh! Misspelled “Frontier”!!! Fixed it. Seems to be awesome so far. Only problem is occasional audio lapses where one can’t totally hear what the actors were saying. Looking forward to the final version. Hopefully there’s still some sound editing planned for post-production. Some people will have to be reminded that Robert April appeared all through the first half of the Roddenberry/Whitfield non-fiction book, the original “The Making of Star Trek” in the chapters concerning the draft script in 1964. He wasn’t just a TAS character. IIRC, one one of those pages was a list of names for the Captain, I’m going to have to dig my copy out and find it. Looks pretty coOL. Will we see Capt. Aprils’ wife, too? Were there any S.T. novels written on Capt. April or did you folks write your own story? ‘Attention deficit Trek (<—JJ Abrams style) and focus on story. Former technician of U.S.S. Exeter Fan film. My mistake…..I missed the other part(s) Wow, and even self funding !, like we did, then again KickStarter wasn’t around in late 2003 . Think we spent under $20,000 and got lucky in the film studio getting free use of a boom crane, leftover props, from another film shoot before us..No, I don’t think CBS will bother you guys, because your film looks like it’s a one off and very obvious it’s non profit. Very,very proud of you guys. Take care. Next Next post: Axanar’s INDUSTRY STUDIOS takes in $6,000 in its FIRST TWO HOURS!